Since ancient times, humans have paid great attention to seasonal changes and performed time measurements using astrology. In order to measure time more precisely, different types of chronographs were invented. After being introduced by European missionaries to China during the late Ming and early Qing dynasties, mechanical clocks proved to be the most reliable and convenient time keepers. These “new products” were designed with novel and ingenious features. They not only reported time accurately, but also comprised a host of other mechanical devices. When the mechanical clocks were wound up, decorative flowers, birds and animals would move back and forth while music played at the same time. The Qing emperors were very fond of these clocks. The palace collected a large number of timepieces and kept them as decorations and furnishings. Later, the Imperial Workshops of the Qing Court were established specifically for the production of timepieces. It first imitated the European style and then gradually developed its own Chinese styles and designs. “The Hong Kong Jockey Club Series: Treasures of Time” exhibition merges science, history and art. Visitors will have an opportunity to appreciate a number of exquisite timepieces, learn more about time and the mechanisms of mechanical clocks from a scientific perspective, and gain a better understanding of the significance of cultural exchange and its historical meaning as well as technological achievements. 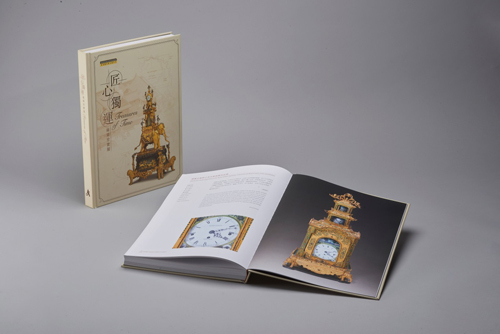 The exhibition displays 120 magnificent clocks and watches from the collection of The Palace Museum. Some of the items in the collections were tributes from Britain, France and Switzerland, while others were manufactured by local craftsmen in the Workshops and in Guangzhou. Several British clocks, repaired just in recent years, are displayed outside The Palace Museum for the first time. There are also sections illustrating the workshops of craftsmen during the 18th century in Europe, with displays of different kinds of tools and equipment collected by the Science Museum, London, part of the Science Museum Group. Alongside these treasures, the exhibition demonstrates the latest technology, animations, models and interactive exhibits to create a special ambience and to show the audience the principles of different time measuring tools, from ancient Chinese instruments and mechanical timepieces to updated atomic clocks. In addition to enjoying the invaluable collections at close range, experts from The Palace Museum have been invited to conduct live demonstrations of the operation of the clocks, thus enabling the audience to gain an insight into the passing of time and to learn to cherish it.